For nurses wanting to combine the adventure of travel nursing with the stability of a permanent position, HealthTrust is pleased to offer the Specialty Travel Program! Nurses in the Specialty Travel Program enjoy guaranteed travel assignments nationwide as well as the benefits of permanent employment, such as health insurance, paid time off, tuition reimbursement, and more. Job growth rebounded in March, with the economy adding 196,000 jobs last month. Healthcare accounted for a quarter of all job creation in March, growing by 49,100 new jobs last month. The unemployment rate remained unchanged at 3.8%. 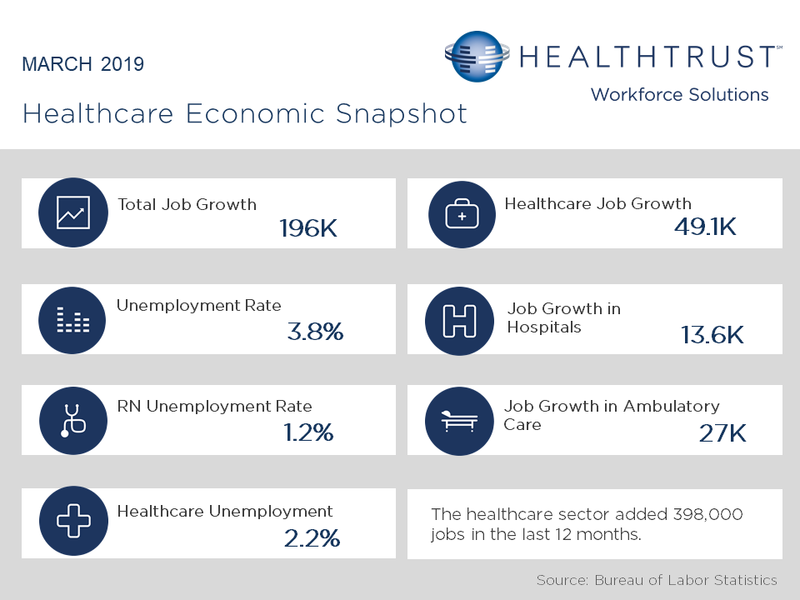 The healthcare sector has added 398,000 jobs in the last 12 months. 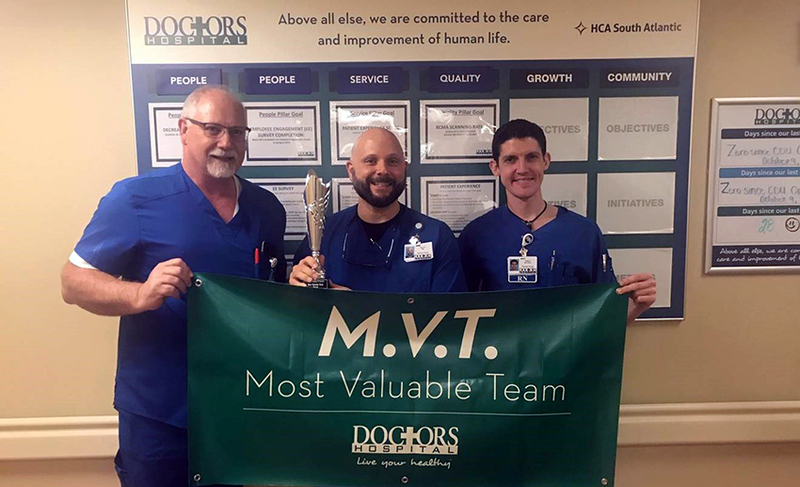 Congratulations to our vascular access nurses for earning Most Valuable Team at Doctors Hospital in Augusta, Georgia! These HealthTrust nurses were recognized by facility leaders for their passion, clinical skill set and commitment to quality patient care. Being hailed as “the nursing hiring events of the year,” we're hosting two virtual job fairs in Texas this week. The San Antonio March Madness Hiring Event begins on Wednesday, March 20th at 11:00am and the Houston March Madness Virtual Job Fair starts the following day, on Thursday, March 21st from 1:00 p.m. to 2:00 p.m. EST. This Job fair is exclusively for Nurses who are interested in exploring opportunities in the Houston and San Antonio Areas. Finding your next nursing assignment can be challenging. Where do you go to find your next opportunity? 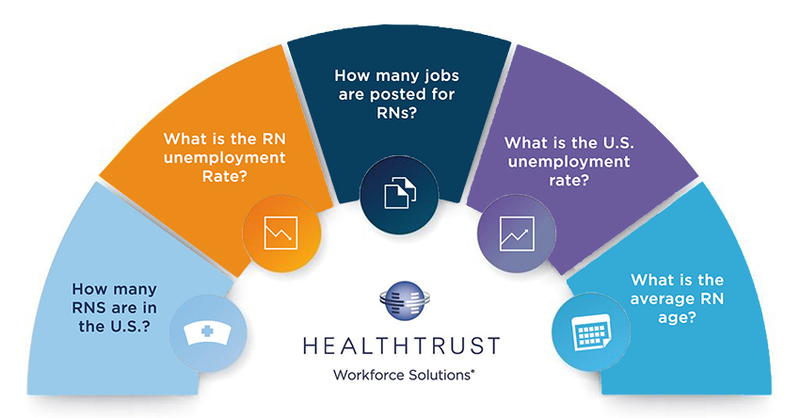 If you’re like many nurses, you’ve reached out to numerous staffing providers through email, job application and phone. But, for some reason, you’re not making any head way in your search. If that’s the case, attending a virtual job fair is a great option. 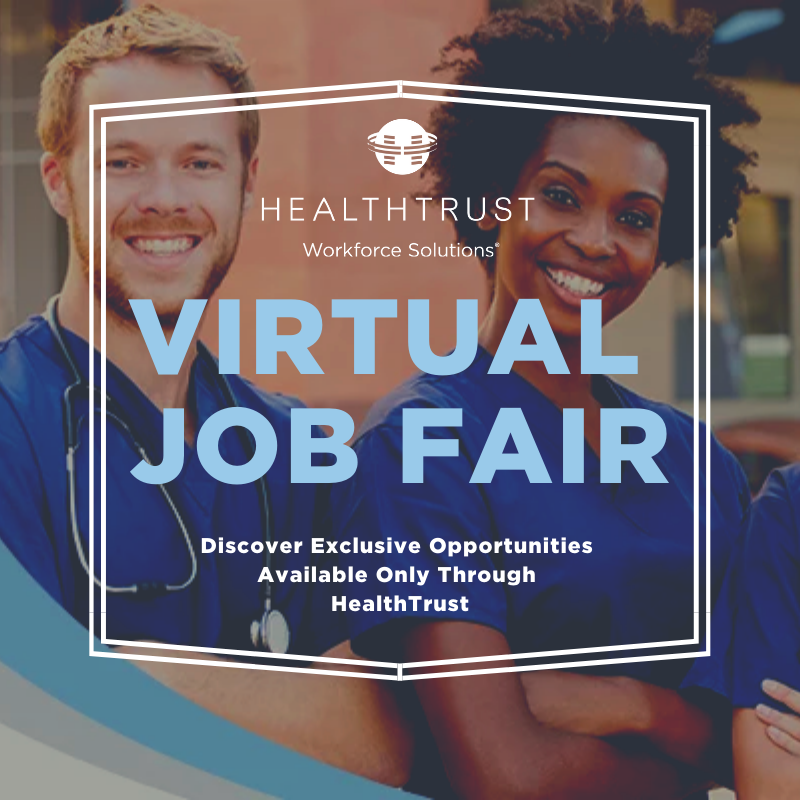 If you haven’t participated in one before, a virtual job fair is an online event in which employers, recruiters, and hiring managers all converge together to impart information and advice to job seekers. While overall U.S. employment remained relatively unchanged in February growing by 20,000 new jobs, the healthcare sector itself added 20,800 jobs last month. Growth within healthcare was primarily in the ambulatory care sector, which grew by 15,500 jobs. Employment in professional and business services and wholesale trade continued to trend up, while construction employment decreased. The unemployment rate dipped slightly to 3.8%. Looking for your next travel nursing adventure? Look no further! Nevada has some of the greatest hot springs in the country. Take a look at this list of amazing locations and don't forget to explore all of the fantastic travel nursing assignments available from HealthTrust right now! Escape the Vegas nightlife and head to these three-tiered hot pools nestled in a dark canyon near the Hoover Dam. To get there, park near the highway and hike three miles down a flat sandy wash. Camp on the beach at the edge of the Colorado River after your shift. How much do you know about the nursing industry? Use our infographic to test your nursing knowledge! The U.S. added a strong 304,000 new jobs in January, while the unemployment rate edged up to 4.0%. The healthcare sector contributed 41,000 of the new jobs last month, with growth distributed primarily between hospitals (18,800) and ambulatory care (22,100). As we continue our National Apprenticeship Week celebration, we wanted to highlight the profound effect that StaRN - or Specialty Training Apprenticeship for Registered Nurses - has had on the healthcare and staffing communities. 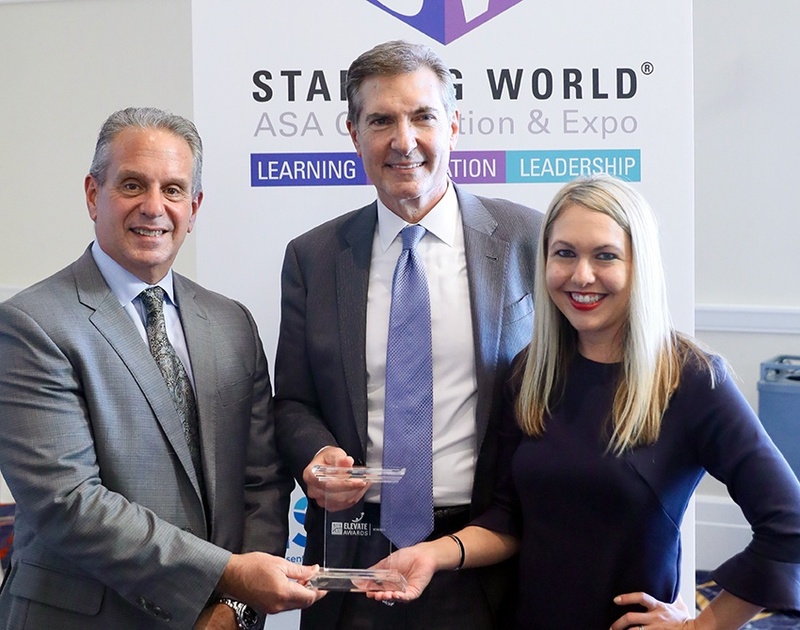 Most recently, the program was presented with the Elevate Award by the American Staffing Association, which recognizes the most innovative and effective work-based learning programs designed specifically for temporary and contract employees.